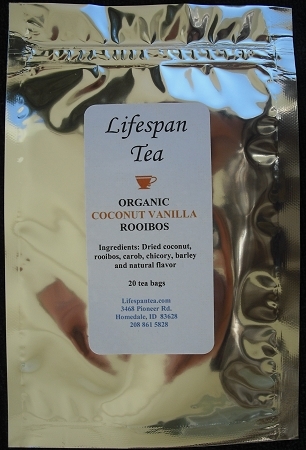 Combines the exotic and delicious flavors of rich vanilla with real, buttery organic coconut. Ingredients: Dried coconut, rooibos, carob, chicory, barley and natural flavor. Organic and caffeine free.